Fr Dans cette section, vous pouvez poster toutes les nouvelles concernant le film Largo Winch. En In this section, you can post all the news concerning the Largo Winch film. Link to watch occasionally for more info. Also in the pipeline is a live-action adaptation of the comic book character "Largo Winch," to be helmed by Jerome Salle, which is slated to go into production in the fall. The world first met Largo Winch, born Largo Winczlav, as the hero of novels by jean van Hamme, then comic books by Van Hamme and Phillipee Francq, and then a TV show - which made it all the way to Canada from it's native France - and now he is to be the epnonymous star of a (major?) motion picture. Directed by Jerome Salle, the Largo Winch movie is expected to enter production in the autumn. The book/comic book/TV series tells stories of how Largo, the adopted son of ultra-rich businessman Nerio, inherits hundreds of billions of dollars in the form of Group W, an unfeasibly massive cluster of multinational business interests, when Nerio commits suicide. As the stories rolled on, Winch faced a never ending string of threats to his business holdings, all of which he fought off while simultaneously investigating, then ultimately avenging, his adoptive father's suicide which - surprise, surprise - wasn't quite what it at first seemed. It's woth noting that the comic book series was published in a very nice way, with each story coming in two seperate books: the first would always detail Largo's latest misadventures as they spiralled further and further out of hand, ending with a classic cliffhanger; then part two revealed his inevitably successful cunning escape plan, with the safety of Group W and Largo's dignity both being restored. Clearly, this film should have been made in the 80s. Le tournage du long métrage "Largo Winch" commence en septembre. - Que le tournage du prochain film Largo Winch commence en septembre. - Qu'ils ont les 24 millions d’euros nécessaires pour financer le film. - Que le casting va comprendre des acteurs de notoriété internationale. - Et que les producteurs négocient actuellement une option pour une éventuelle suite. - That the shooting of the next Largo Winch film will start in September. - That they have the 24 million euros necessary to finance the film. - That the casting will include actors of international notoriety. - And that the producers are actually negociating for an option for an eventual sequel. Selon L'Express, Largo Winch, le célèbre héros de bande dessinée, va être adapté au cinéma. L'humoriste et comédien Tomer Sisley, chroniqueur occasionnel dans 'T'empêches tout le monde de dormir' sur M6, a décroché le rôle titre du film qui sera dirigé par Jérôme Salle. le tournage est prévu dès août, entre Macao, Hong-Kong et Paris. Après avoir joué dans de nombreuses pièces et notamment dans son Stand Up, Tomer Sisley démarque dans la peau d’un héros de bande-dessinée : Largo Winch. Le dessin-animé, du même nom que son personnage principal, avait déjà été repris dans une série TV diffusée sur M6, dans laquelle l’acteur italien Paolo Seganti incarnait le jeune milliardaire en blue jeans qu’est Largo. Cette fois-ci, c’est dans un autre format que Jérôme Salle (Trouble) a décidé d’adapter le dessin-animé de Jean Van Hamme et Philippe Francq, celui du grand écran. Le réalisateur, qui signe son deuxième film après Anthony Zimmer dans lequel on retrouvait deux grands noms du cinéma français : Sophie Marceau et Yvan Attal - travaillera à l’occasion de ce film en collaboration avec le scénariste Julien Rappeneau (36, Quai Des Orfèvres et aux côtés de Philippe Godeau, aperçu dernièrement dans Danse Avec Lui, chargé de la production. Dans cette nouvelle version cinématographique, le comédien Tomer Sisley lâchera donc quelques temps la scène pour se mettre dans la peau d’un play-boy richissime à seulement 26 ans. Trahison, coups montés, bagarres et histoires d’argent seront au rendez-vous de cette version exceptionnelle du dessin-animé. Côté scénario, quelques changements sont à noter, avec notamment la disparition du meilleur ami de Largo dans le dessin-animé, Simon Ovronnaz, quant au siège du Groupe W, il se trouvera à Hong Kong. Ainsi, le tournage, censé débuter fin Août 2007 aura lieu à Macao, Hong Kong et dans notre capitale, Paris. L’Italie et Malte pourraient également faire partie du décor… A voir. Enfin, si vous êtes fans des dessins-animés de Jean Van Hamme, rendez-vous bientôt avec deux nouveaux dessin-animés adaptés à la télévision, XIII et un autre, historique, qui se passe à l’époque du règne de Louis XV aux Indes. Children aged between four and 11. Older boys (8 –11) should if possible be foreign looking (Asian or north European). All boys must be less than five feet tall. Men aged between 30 and 65 will also be auditioned. These MUST have a distinctive, elegant and foreign look. This audition is strictly only for people who fit the above description. The shooting of a new Largo Winch film begins in Malta this week. This is the second feature-length film by Jérôme Salle, two years after the blockbuster by Anthony Zimmer. Once again, the film is an adaptation of a Belgian comic strip by Jean Van Hamme and Philippe Francq. Actors Tomer Sisley, Kristin Scott-Thomas, Sienna Miller and Olivier Marchal take part in this thriller, which is set in the world of international high finance. The script, by the director and Julien Rappeneau, deals with the suspicious death through drowning of Nerio Winch, the founder and the majority shareholder of the big tentacular business the Winch Group. The millionaire does not have a family, so the search is on for who will inherit his fortune. But in reality, Nerio had secretly adopted a child found in a Bosnian orphanage 30 years ago. This son, (Tomer Sisley) however is accused of drug trafficking and is currently in an Amazonian prison, although he says he is innocent. Largo Winch started as a series of novels by Jean Van Hamme in the late 1970s, but stopped due to a lack of success and the huge amount of work Van Hamme had in the meantime with his comic books (e.g. Thorgal). When Francq wanted to start a series with Van Hamme, he revived his old hero, and reworked the novels into the first albums of the comic series. Wild Bunch, the French film company behind this year's Palme d'Or winner "4 months, 3 Weeks, 2 Days," has raised Euros 25 million ($34.1 million) equity and launched a new Euros 110 million ($150 million) film finance venture with U.S. investment fund Continental Entertainment Capital. CEC, an affiliate of Citi, is providing most of the new equity, with existing shareholder Iris Capital and Wild Bunch management putting up the remainder, the company said Tuesday. Under its new configuration, Wild Bunch remains around 66% European owned. CEC and Wild Bunch are also forming an acquisition and co-production joint venture, with equity and debt totaling Euros 110 million ($150 million). Wild Bunch created a similar joint venture last year with Virtual Films. Wild Bunch prexy Vincent Grimond said the company will be looking to invest in quality U.S. indie fare budgeted above Euros 15 million ($20.5 million), such as Steven Soderberg's "Che," which started shooting in Spain in July, with Benicio del Toro in the title role. "We are not going to try to get the next mainstream comedy from New Line," Grimond said. Wild Bunch also has some big budget French fare in the works, including the English-language comic book adaptation "Largo Winch" and "Mr Nobody," by Belgian helmer Jaco Van Dormael. The new fund will start to operate later this month. Beyond the films Wild Bunch will be able to board, the equity deal with CEC is also designed to further Wild Bunch expansion plans. Company's former Studio Canal management team, led by Grimond, has set its sights on turning the indie company into a fully fledged European studio with distribution in all the major territories. While international sales still rep around 50% of the company's Euros 50 million ($68.2 million) annual revenues, that has come down from 100% when the company was set up five years ago, and today French theatrical and video are also a major source of revenue. Wild Bunch ranks third among French distributors so far this year, behind EuropaCorp and TFM. Claude Chabrol's "La Fille coupee en deux," currently on French screens, is headed for an admissions total of around 800,000, equivalent to a B.O. gross of $4.75 million. Wild Bunch also has theatrical distribution in the Benelux countries via indie A Films. "What attracted me to this company is the quality of the management," enthused Benjamin Waisbren, CEC’s president and CEO. "They've always done what they said they would do and they know how to deal with capital markets in a sophisticated, educated way." The fund is looking for other investment opportunities in Europe, Waisbren said. The French adventure/ thriller Largo Winch has recently completed an intensive three-and-a-half weeks of filming in Malta. Based on the popular story of a character by the same name, about a young man who inherits one the world's greatest fortunes after being purposely adopted by a billionaire, it is considered to be France's most challenging production, in terms of budget and size, of the year, said Malcolm Scerri-Ferrante, the unit production manager for the film. When the billionaire is murdered, Largo finds himself in a race against time to save his life and his father's empire. The film is directed by young, up-and-coming Jerome Salle, who is considered to be "hot" in France, following his last film Anthony Zimmer, nominated for a Cesar for Best First Film, Mr Scerri Ferrante said. Filming in Malta was carried out in various localities, showing its versatility. 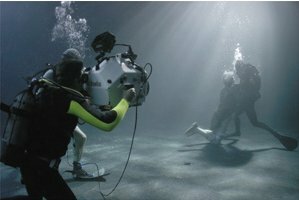 They included the water tanks at the Mediterranean Film Studios, which were what initially attracted the producers to the island - the opening scene involves an underwater struggle between two men. It was also shot in a government school, which acted as an orphanage and a police station in Eastern Europe, St Edwards College, which stood in for a Swiss boarding school, Mtahleb and the airport grounds, which doubled as the Balkans. The main restaurant of the Corinthia Palace Hotel in Attard portrayed an upmarket New York eatery. A Boeing 727 was also utilised for the filming. Complicated scenes were shot on the runway and nearby after several weeks of intensive planning with Malta International Airport management. When Mr Salle was shown around by Film Commissioner Luisa Bonello, he immediately realised the island had much more potential for his film and decided to scout for more locations, Mr Scerri-Ferrante said. The financial incentives and assistance of the Malta Film Commission helped keep the producers interested in Malta until they decided to extend their filming to over three weeks, he continued. The movie is also being filmed in other countries including France, Sicily and Hong Kong. Despite the fact that Largo Winch has a budget of €25 million - unusually high for an independent European film - it has huge aspirations, with a lot of action sequences, Mr Scerri-Ferrante said. "In Hollywood, a film of the sort would have double the budget. However, it was the conscious decision of the producers to use unknown talent and to produce it in a cost-effective manner, meaning harder work because you are trying to achieve a lot with less money," he said. Casting for actors with speaking parts and some 350 extras began locally in May. Coordinated by Edward Said, five local actors were chosen for secondary parts. Of the 100-strong crew, about 50 were Maltese, said the Producer's Creative Partnership, the local production company, engaged with recruiting crew and managing the movie. Filming of Largo Winch is currently continuing in Sicily and a number of Maltese technicians and assistants have joined the French crew there. On vous fait découvrir la fiche technique complète du film et vous laisse donner votre avis sur le ou les thèmes de votre choix. Wild Bunch is heading into the AFM with a series of new projects from young film-makers; the first images from Woody Allen's latest; and at least one film that could spark a bidding war among US distributors. The company will screen Largo Winch, its $35.6m (Euros 28m) comic book adaptation about the eponymous vagabond billionaire. Shot mostly in English, the Jerome Salle-directed film is generating a lot of buzz, with a sequel already in preparation. Both Salle and star Tomer Sisley are on board for the sequel and each have already been signed to US representation at CAA and Endeavor, respectively. Pour les plus récentes nouvelles sur le prochain film Largo Winch 2. ....Enfin, le Trophée Duo Cinéma a été remis à l'excellent Conte de Noël, réalisé par Arnaud Depleschin et produit par Pascal Caucheteux. Ce grand film, que nous retrouverons lors de la Nuit des César, compte à son casting Catherine Deneuve, Anne Consigny et Mathieu Amalric. Tomer Sisley : le séduisant Largo Winch serait... abandonné par tout le monde ou presque ! L'an dernier, la carrière professionnelle et la vie privée de Tomer Sisley l'avait propulsé au septième ciel. Il a réussi a réaliser de jolis scores au box office avec l'adaptation de la bande dessinée Largo Winch et il accueillait en octobre son bébé, Liv Shaya, né de son idylle avec son amoureuse Julie. Un an plus tard, il s'apprête à replonger dans l'aventure de Largo Winch pour tourner dans le second volet. Lors de sa venue au Maroc pour la fastueuse inauguration d'un nouveau complexe hôtelier du magnat Sol Kerzner le 31 octobre, il a confié qu'il entamait le tournage de Largo Winch 2 dès le mois de janvier. Information notable : Tomer est le seul membre du casting du premier épisode cinématographique à officier dans la suite. Mélanie Thierry, Kristin Scott Thomas, Gilbert Melki, Anne Consigny et tous les autres ne seront plus de la fête ? Toutefois, le réalisateur Jérome Salle, également auteur de Anthony Zimmer (en plein remake américain), reste aux commandes, pour le plus grand plaisir de Tomer qui souhaitait vraiment continuer à être dirigé par ce cinéaste. Largo Winch 2 serait inspiré du tome La Forteresse de Makiling de Jean Van Hamme (scénario) et Philippe Francq (dessinateur) dans lequel un ami de Largo se voit condamné à mort pour un crime qu'il n'a pas commis, alors qu'il était en vacances en Birmanie. Nous attendons maintenant avec impatience d'en savoir plus sur ce film ! Le film Largo Winch sera montré au Canada le 15 janvier 2010. 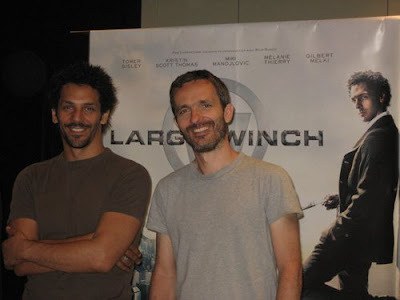 The Largo Winch film will be shown to Canadians on January 15th, 2010. Wallimage/Bruxellimage will thus help finance the second instalment of Largo Winch, which will reunite actor Tomer Sisley and director Jérôme Salle. The duo will fly off to Thailand, China, Germany and Switzerland for the shoot, with a short stop in Belgium. The film is produced by PanEuropéenne and Climax Films. Actress Sharon Stone has joined the cast of the second Largo Winch film, Largo Winch: The Burma Conspiracy. The news was reported by Jean Van Hamme, creator and writer of Largo Winch at the Forum Cinéma et Littérature in Monaco, where Van Hamme was Guest of Honor. Director Jérôme Salle and lead actor Tomer Sisley are both on board for the sequel. The new screenplay is based on the installments ‘Fort Makiling’ and ‘The Hour of the Tiger’, with much of the action taking place in Geneva and Myanmar. Largo Winch is one of the most famous and best-selling comics on the French/Belgian market. The Burma Conspiracy is scheduled to hit theatres at the end of 2010, when the long-awaited new bande dessinée hits stores. The last one, ‘The Road To Virtue’, dates from December 2008. The Tourism Authority of Thailand (TAT) is supporting the production of French movie, 'Largo Winch II', as part of its policy to promote Thailand's film industry. About 60 per cent of this film, also featuring Thai actress Napakapapha Nakprasitte, entails Thai locations like Chiang Mai, Mae Hong Son and Pattaya. Slated for screening late this year, it is the sequel to 'Largo Winch I', which was seen by over 1.4 million viewers in 480 theatres across France. It was also published in DVD format of which 480,000 copies were sold in Europe, America, and Asia. TAT Governor Suraphon Svetasreni said, "The Tourism Authority of Thailand is pleased to support this French movie production, and we believe it will go a long way towards attracting more French visitors in the high-season in the fourth quarter of the year." France is the third biggest source of visitor arrivals from European countries, after the U.K. and Germany. In 2009, French visitor arrivals to Thailand totalled 426,323, an increase of 7 per cent over 2008. French and most Europeans can obtain a 30-day visa-free facility at major international gateways. As of February 2010, there are 14 weekly direct flights linking Bangkok and Paris operated by Air France and Thai Airways International. Other airlines also bring visitors to Thailand through other points like Dubai, Doha, Abu Dhabi, Frankfurt, Singapore, Hong Kong, etc. French tourism to Thailand has shown a healthy growth in past years, and TAT is planning to further step up its profile in the French market, with a special focus on the high-end market. According to the Thailand Film Office, in 2009, the line-up of film shoots in Thailand included 21 feature films, 92 advertisements, 85 documentaries, 25 TV series, and 42 music videos. These are estimated to have generated revenue of Bt497.01 million. Film crews of various countries come to Thailand with India ranked number 1 followed by Europe, Japan, Hong Kong, the USA, Korea, China, and other countries in Asia. The Thai Film Board is also expanding its role to promote the industry and make it easier for foreign film makers to complete projects smoothly, which will help to promote Thailand to audiences worldwide.